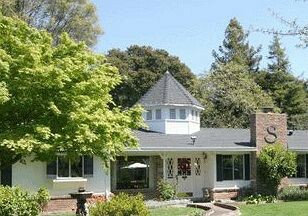 Property Location Located in Napa, Napa Valley Bed and Breakfast Stahlecker House is in a rural location and convenient to Westwood Hills Park and Napa Premium Outlets. This bed & breakfast is within close proximity of Quent Cordair Fine Art Gallery and Scientopia Discovery Center.Rooms Treat yourself to a stay in one of the individually decorated guestrooms, featuring fireplaces. Complimentary wireless Internet access is available to keep you connected. Conveniences include desks, and housekeeping is provided daily.Rec, Spa, Premium Amenities Make use of convenient amenities, which include complimentary wireless Internet access and a picnic area.Dining A complimentary continental breakfast is included.Business, Other Amenities Featured amenities include multilingual staff and a library. Free self parking is available onsite.